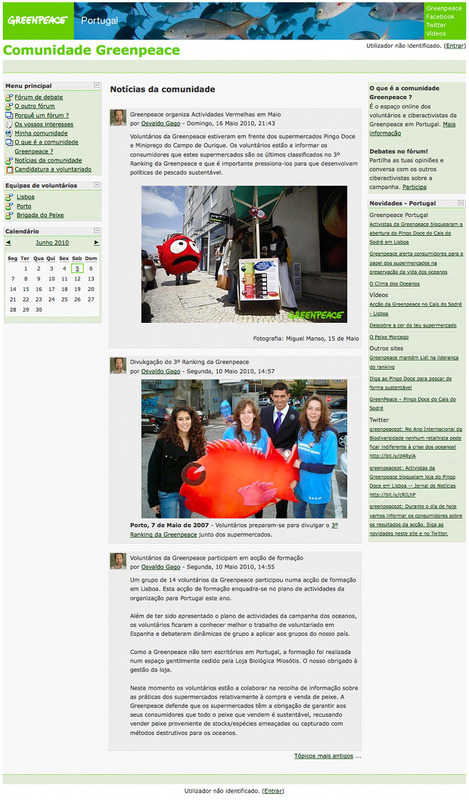 Greenpeace’s volunteers online community in Portugal. This website was a volunteer management, communication and e-learning tool. When it was closed it had more than 900 registered users, 2 public forums, 2 local groups (Lisbon and Porto), users profiles and a blog about public volunteers activities.